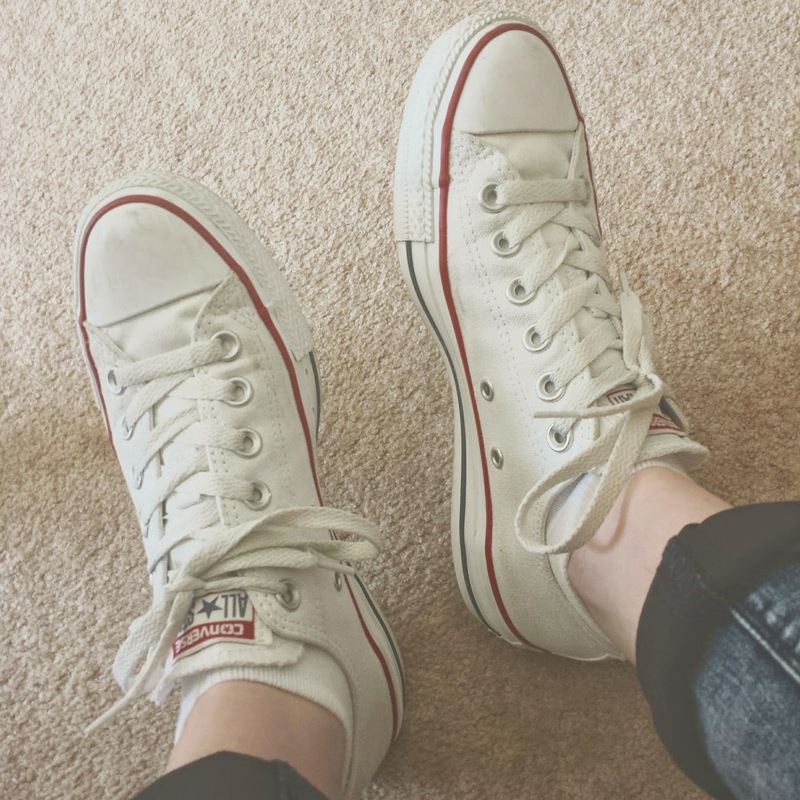 Summer is fast approaching, so today I am going to show you the shoes I will be wearing throughout spring and summer. First of all, my trusty white converse. I got these last year and I have somehow managed to keep them quite white, which I am proud of I have to say! I wear these all year but I didn't wear them as much in the winter as I am afraid of getting them dirty in puddles! I wore them so much last summer and because they are white they match with everything and they are so comfy! I love them so much. This year I have also got a pair of sandals. 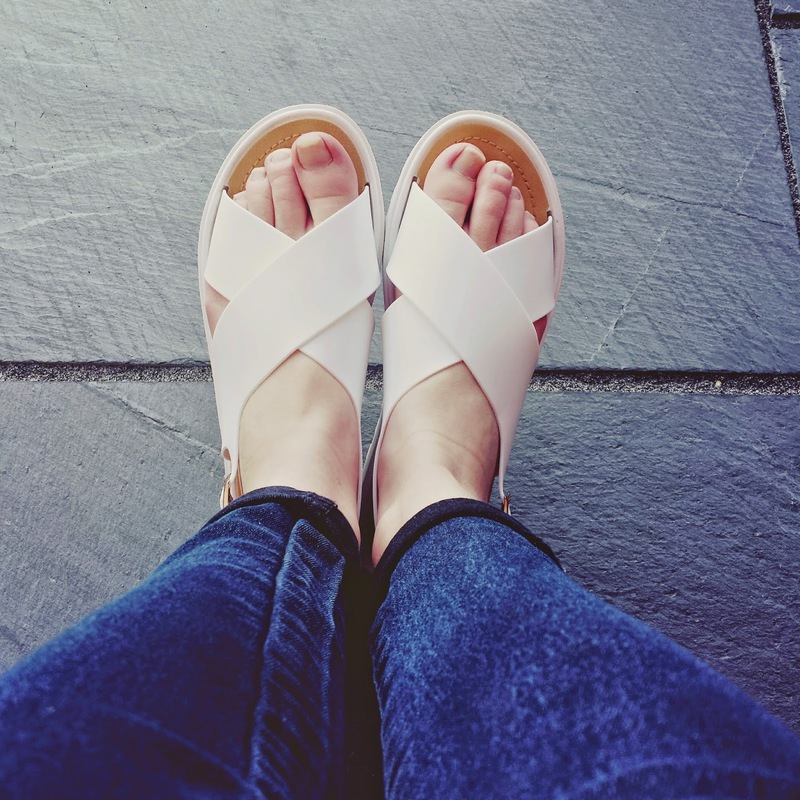 Sandals are a must have if you are anywhere warm in the summer! This year I purchased these white sandals from a shop called Garage Shoes. They are by a brand called Pampalone and they were only £9.99 which is so cheap because they are actually so comfortable! They have really flexible soles, so they are really comfortable walking in them and I really like the style of them too. 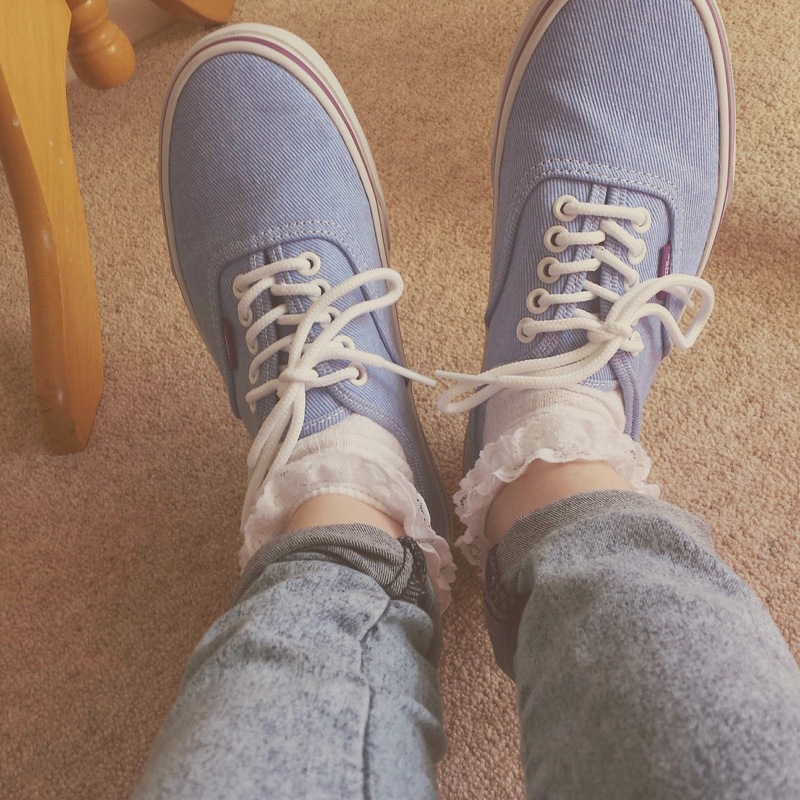 I also have these pair of blue Vans. They are light blue and I think they are perfect for Spring! I especially love the purple edge around them and I think they look really cute with my frilly Topshop socks. I have a feeling I will be wearing these a lot this spring and summer. 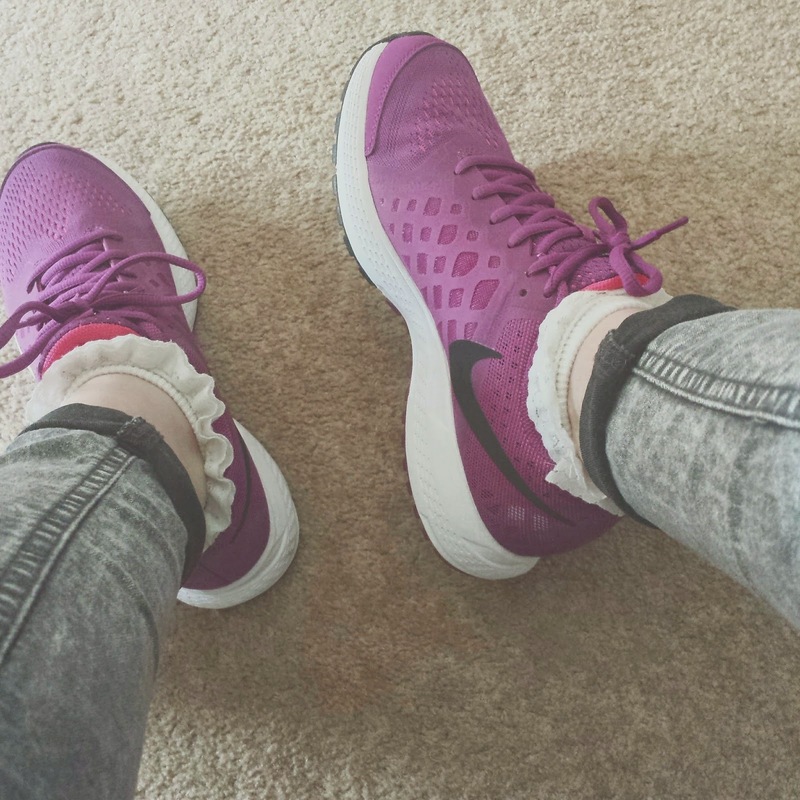 I also recently bought a new pair of Nike trainers which I am in love with. I'm not really a huge trainer person but I will definitely be wearing these so much because they are so comfortable! They are a really nice pink-purple colour and I really like the fact the laces match the shoe colour. The soles are so comfy and although I won't be doing much running in them, they feel like they would be perfect for sport. Please tell me what shoes you'll be wearing in the upcoming seasons in the comments below! Also, you may notice my blog has had a little bit of a makeover... I hope you like its new look!